When do Babies Eyes Change Color? 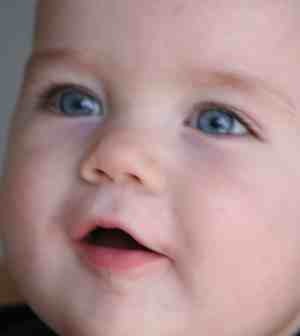 Typically, newborn have lighter colored eyes frequently called “baby blues”. As children age, their eye color often changes. When an individuals eye color changes they go through a “grey” or “muddy” stage where is it hard to determine eye color. By 6 months of age, most (95%) of eyes have established their adult eye color. Sometimes eye color can change up to 2 years old. One of my daughters eyes changed from blue to green at 9 months. While parents and grandparents often tell me of people whose eye color changed when older, I have yet to see this in my practice. I dont understand what do you mean by "muddy stage". Do all babies go through this stage? Or only babies who go from having blue eyes to other colors? The muddy stage is while eye color is changing. Blue eyes just stay blue. I asked because my daugther when she was born everyone said her eyes where extremely blue, and they where, but then they got a different color through the months which I still cannot understand what color it is. She is now almost 9 month old (pic attached) but I'm gessing her eyes are not going to be blue like her daddy's after all.